Anu Impex, Incorporated in 2003, has grown to become one of the largest manufacturers--exporters of natural stones from India. With valuable experience and a professional team of dedicated workers Anu Impex has created quality standards matched by none. 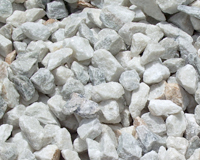 We are supplying high quality Indian Natural Stones suitable for wall and floor at competitive price in short lead time to our valued clients around the globe. We are recognized for quality and dedicated services. Our quality controll team individualy select all the stones guranteeing consistancy and quality. Satisfied overseas clients with our quality, price and service are behind over growth and strength.